As launch season begins to wind down, anyone who has seen what is new to SOLIDWORKS in 2018 has reason to be excited. A variety of new features and functionalities from gesture based sketching to virtual reality integration are helping companies perfect their designs like never before. One major addition that seems to be getting overlooked though is SOLIDWORKS Manage. Today we are going to break down everything included in SOLIDWORKS Manage and how its added functionalities will help you take your product data management to the next level. 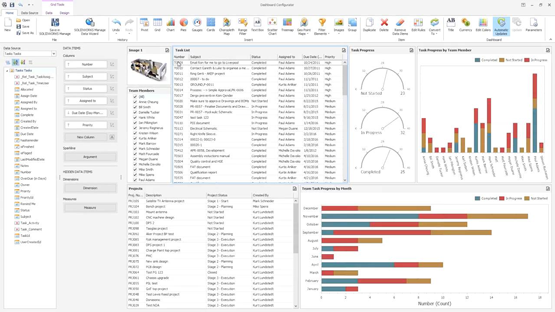 SOLIDWORKS Manage provides SOLIDWORKS customers with a unique set of advanced management tools by leveraging the ease of use and file management capabilities of SOLIDWORKS PDM Professional and adding powerful project, process and item management capabilities. What does SOLIDWORKS Manage do? SOLIDWORKS Manage is an all-inclusive application that combines the file management technology of SOLIDWORKS PDM Professional with advanced data management capabilities. There are no extra modules or database applications to purchase. SOLIDWORKS Manage utilizes Microsoft SQL Server to provide high performance and scalability and is included along with integrations to various authoring applications including Microsoft Office. Designed for those who primarily work with SOLIDWORKS, Professional Editor provides engineers and designers application-specific integrations to manage complex file relationships and file properties. This license includes all the capabilities for managing projects, participating in processes, accessing dashboards and generating reports. 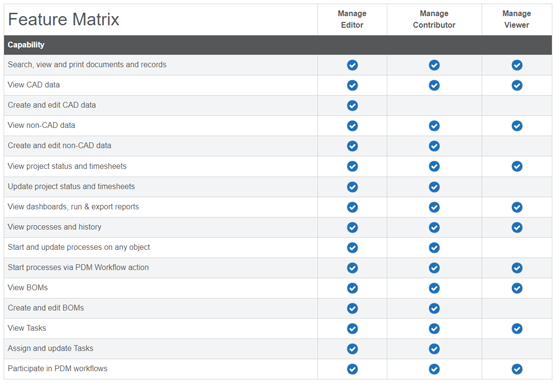 This license is designed for those who participate in file-based workflows but only need to be able to search, view/print documents, dashboards, run reports or view project progress. Well, there you have it! SOLIDWORKS Manage offers a plethora of new features and add-ons that will help streamline your operations. It's the perfect tool to help out that data management person(s) in your life. If you are interested in learning more, check out our SOLIDWORKS Manage page or contact one of our sales representatives. Make sure to click the link below and subscribe to the Alignex Blog to avoid missing out on future training class guides, as well as other tech tips and news from the world of SOLIDWORKS.